Music is Helga Kaefer’s heartbeat! From a young age she took piano lessons, which was the spark that ignited a career. After taking lessons for a few years, she started creating her own musical compositions. After many years of lessons and studying music in college, Helga decided to start teaching, which she has been doing for the past 15 years. A singer/songwriter, Helga’s instrument has always been piano. She is also a staff writer for Sunset Gallery Music where she writes inspirational & faith based music for this publisher. Her songs have been recorded by artists around the world and she was recently nominated for a Dove Award for the song Gotta Get To Jesus which was recorded by the Collingsworth Family. In addition to songwriting, Helga is currently the pianist for the BritPop Choir in Manhattan where she accompanies the 50-voice choir at their performances year round. 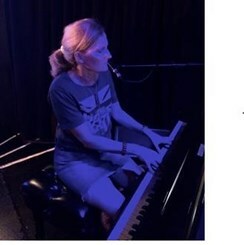 She is also the president of the Bergen County Songwriter’s Group, which she founded 5 years ago to support songwriters in the Bergen County area. Request Lessons with Helga today!